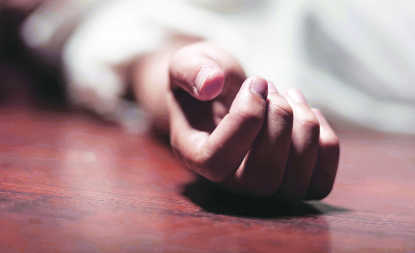 Gobind Singh was killed by the two with a sharp-edged weapon at Gurusar village in Bhagta Bhaika area on Diwal. The accused allegedly fled the spot after the crime. Police have registered a case on the statement of the deceased’s brother. Gurpreet Singh, in a statement to the police, said his brother, who worked as a labourer at the grain market, had bought vegetables of worth Rs 200 from Harbans Singh a few days back. He said his brother did not pay as he had no money at that point and promised to pay later. Harbans kept asked for the money and Gobind assured him that he will return the money soon. However, on Diwali day when Gobind Singh was returning home after work, Harbans and his son Gurwinder Singh followed him attacked the victim as he was entering his house. Gobind died on the spot. A case has been registered against the accused at Dyalpura police station. However, no arrests have been made so far in this case. Meanwhile, the relatives held a protest placing the body of the victim on the Bathinda-Bajakhana road and demanded arrest of the accused due to which the traffic was affected.